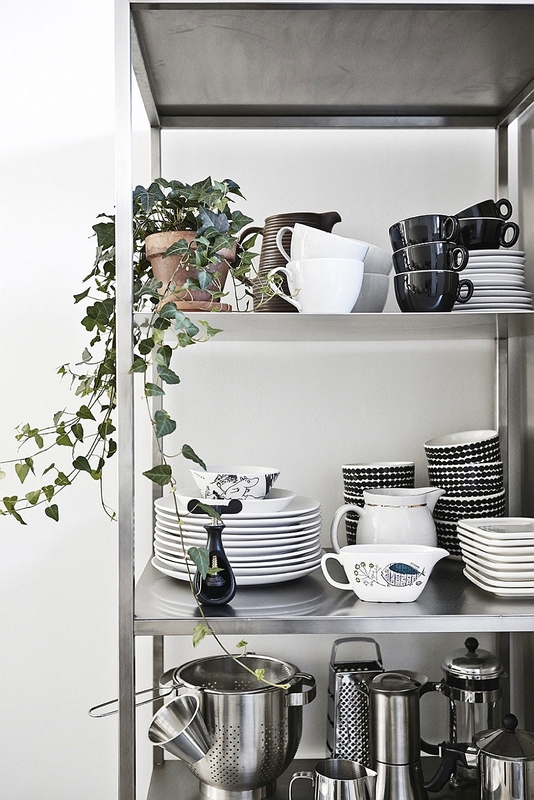 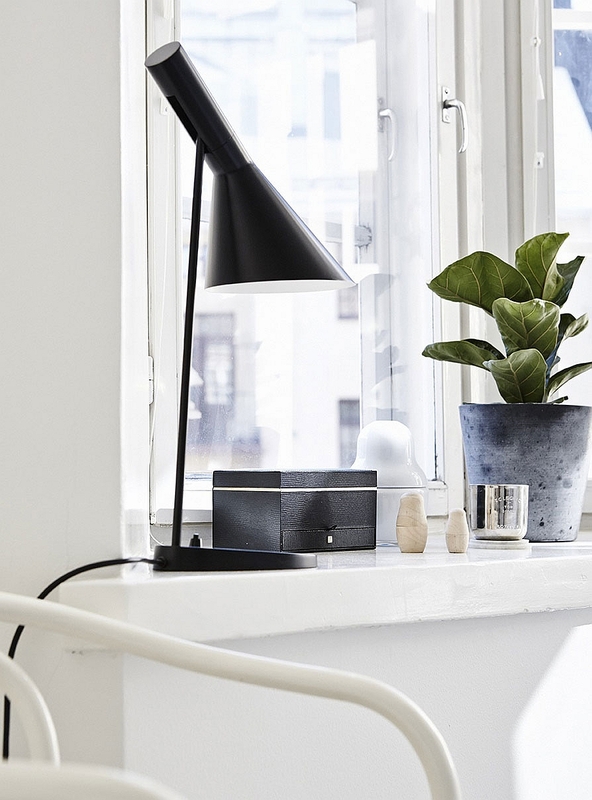 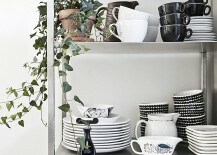 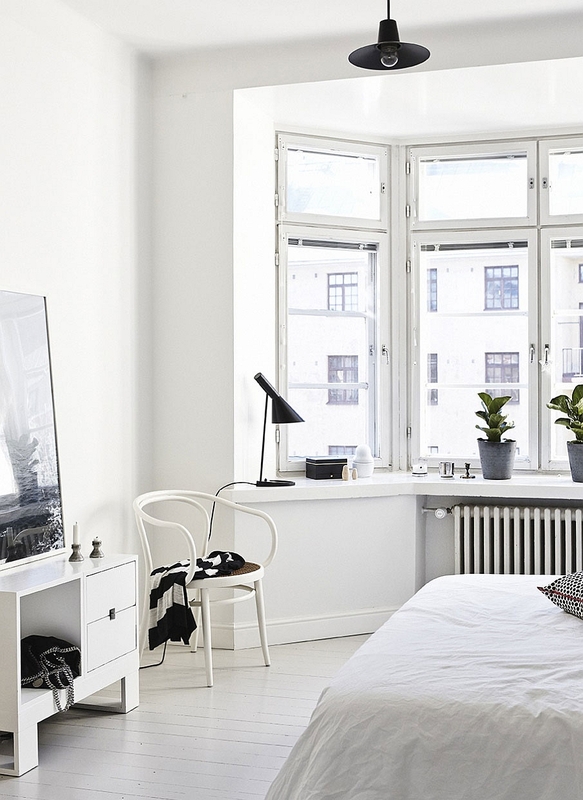 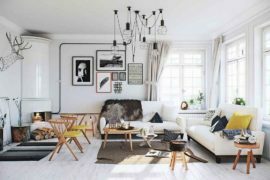 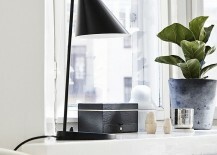 One of the things that has made Scandinavian design and decor such a hit among modern homeowners is the innate simplicity it brings to an otherwise increasingly complex world. 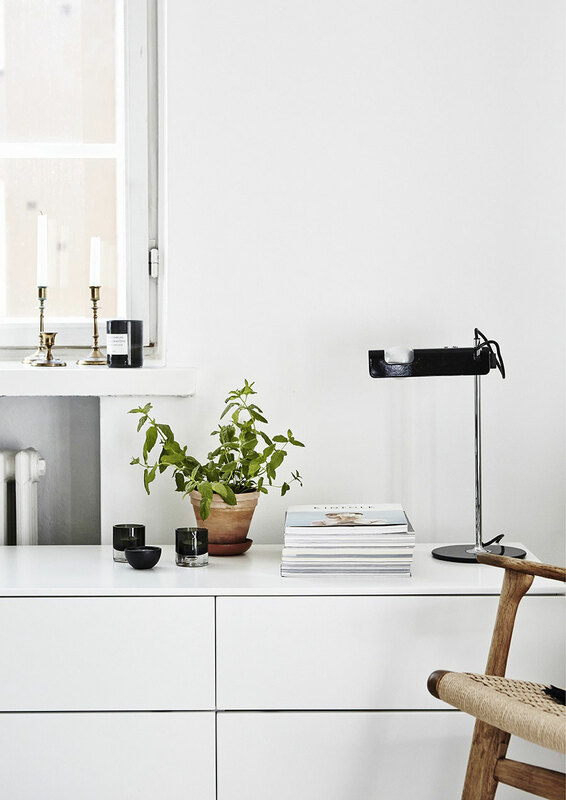 The cool Helsinki apartment of Finnish designer Joanna Laajisto is a perfect case in point, as it reminds us of a beautiful refuge that drowns away the noise of urban life. 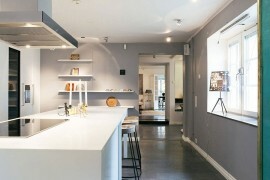 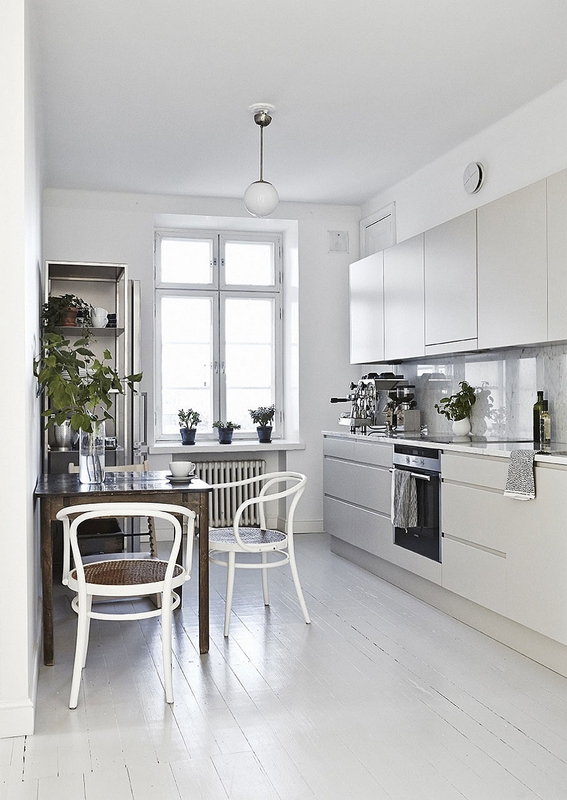 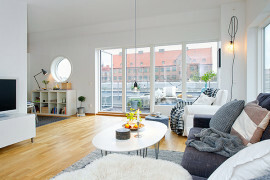 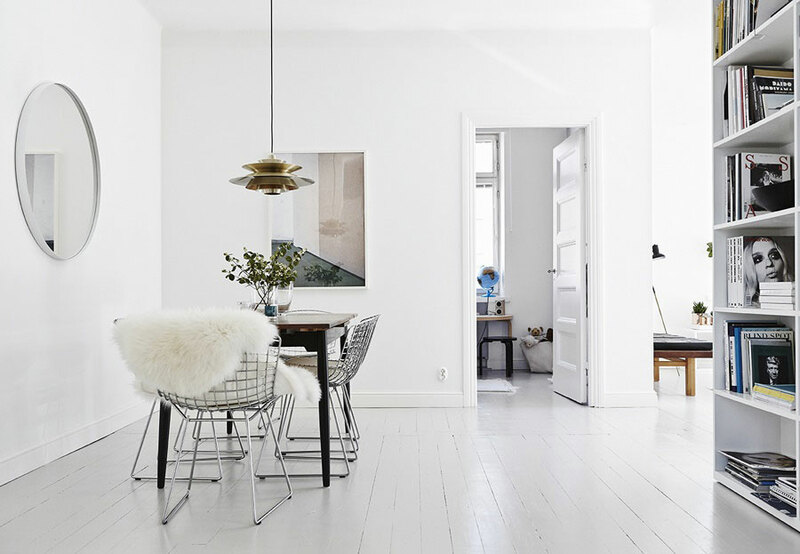 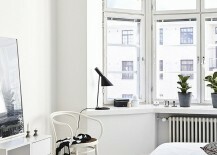 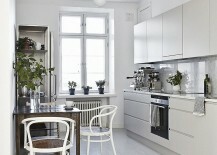 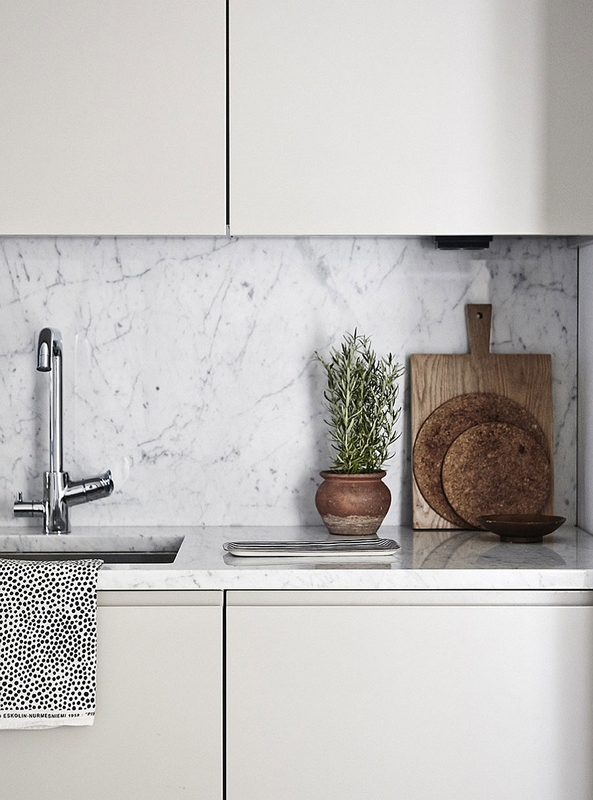 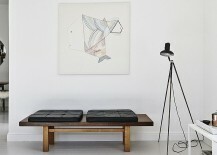 Built way back in 1928, the apartment was remodeled by the architect herself along with some help from her photographer husband Mikko Ryhänen, and it combines the timeless appeal of Scandinavian style with modern aesthetics to create a truly tranquil and appealing home. 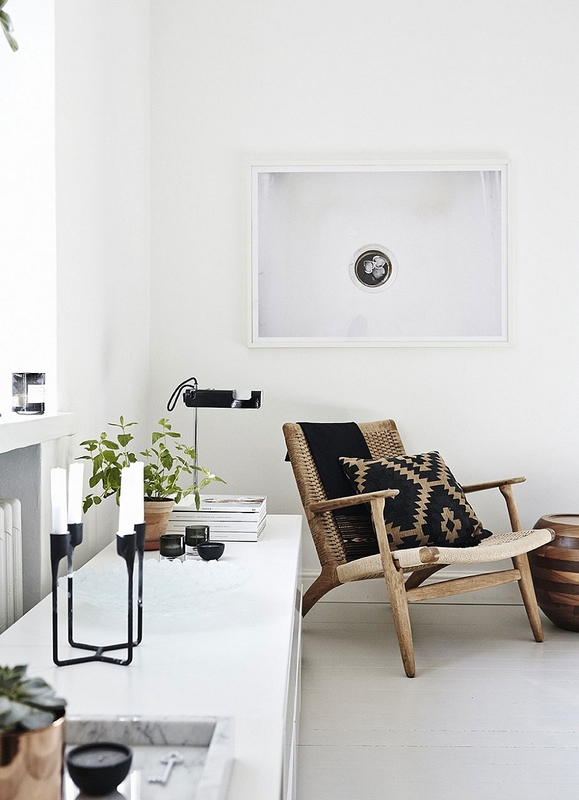 White is obviously the color of the choice for the backdrop in every room, with cleverly placed hints of black and green adding visual intrigue to the apartment. 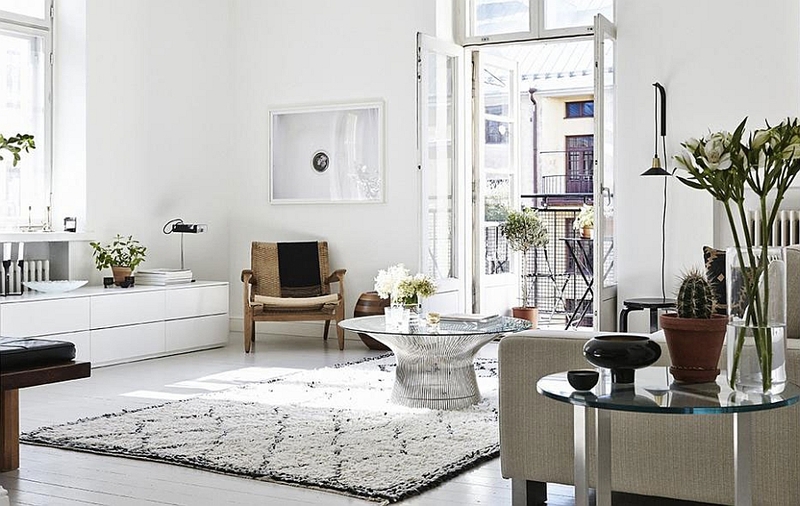 The living area grabs your attention with its casual yet curated look that features the gorgeous Platner Coffee Table at its heart. 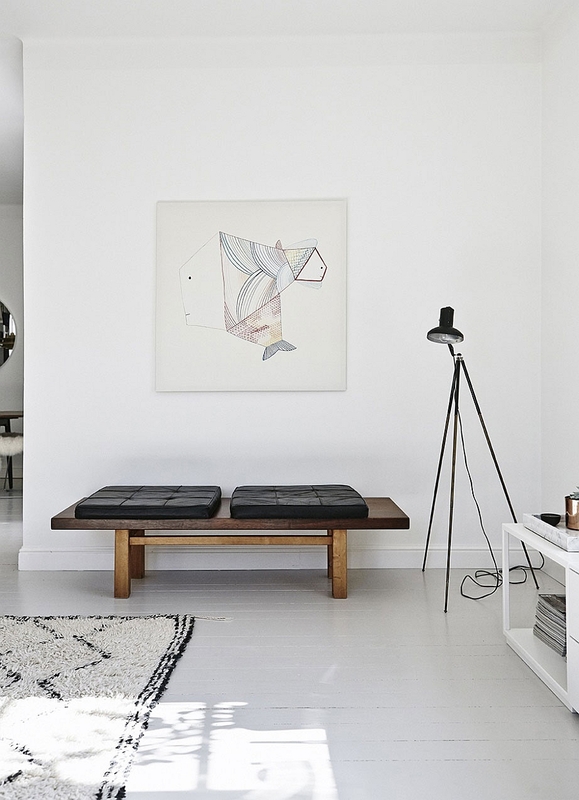 A plush rug in white with a black pattern, a sleek sideboard in white and a plush couch complete this space. 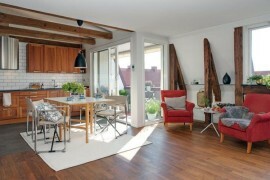 The smart kitchen with a small breakfast nook and lovely dining area featuring iconic Bertoia chairs and PH Light complement the living area perfectly. 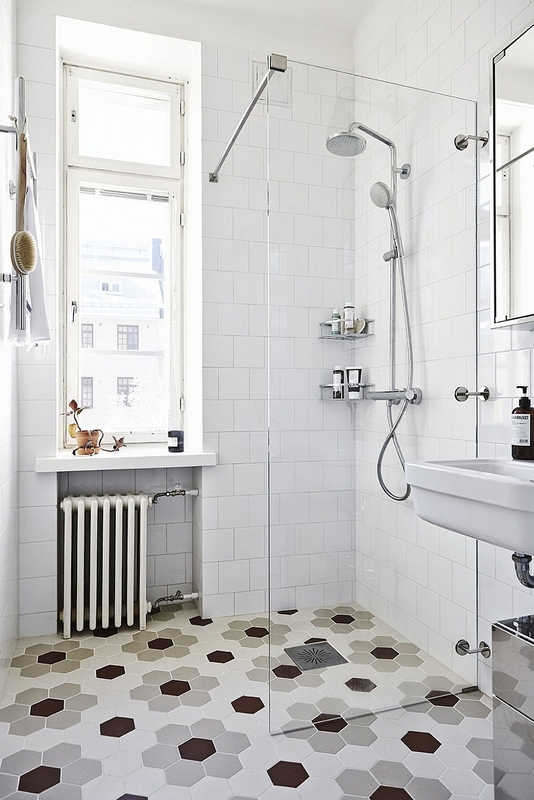 While the bedroom follows the style and the color scheme of the living space, it is the bathroom that breaks the mold with the use of hexagonal tiles for the floor and a touch of light gray. 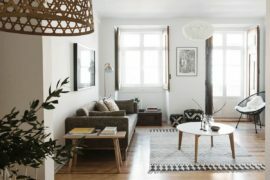 Creating a calming atmosphere, the apartment cleverly puts to use every inch of available space without seeming to try too hard. 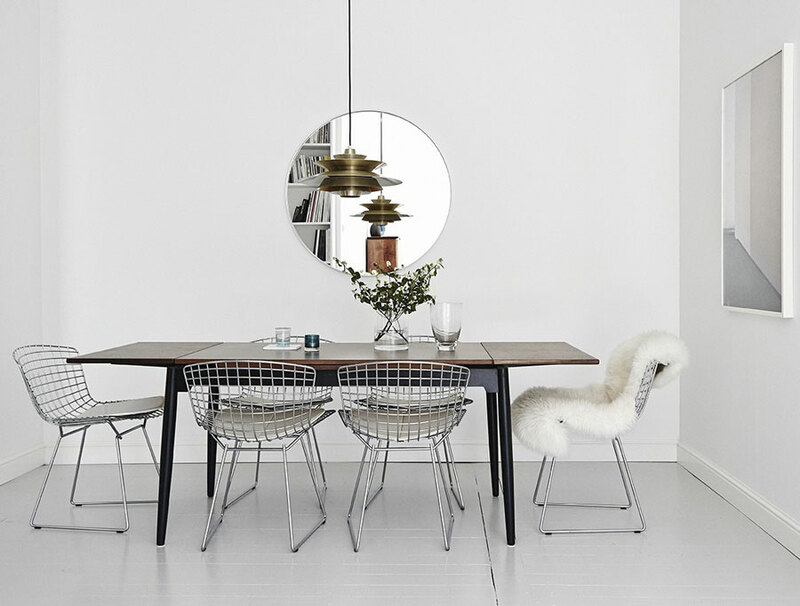 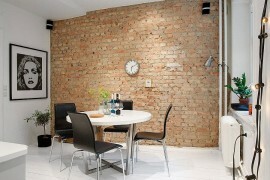 A perfect home for those who love unfussy design, and one that cuts across different eras!